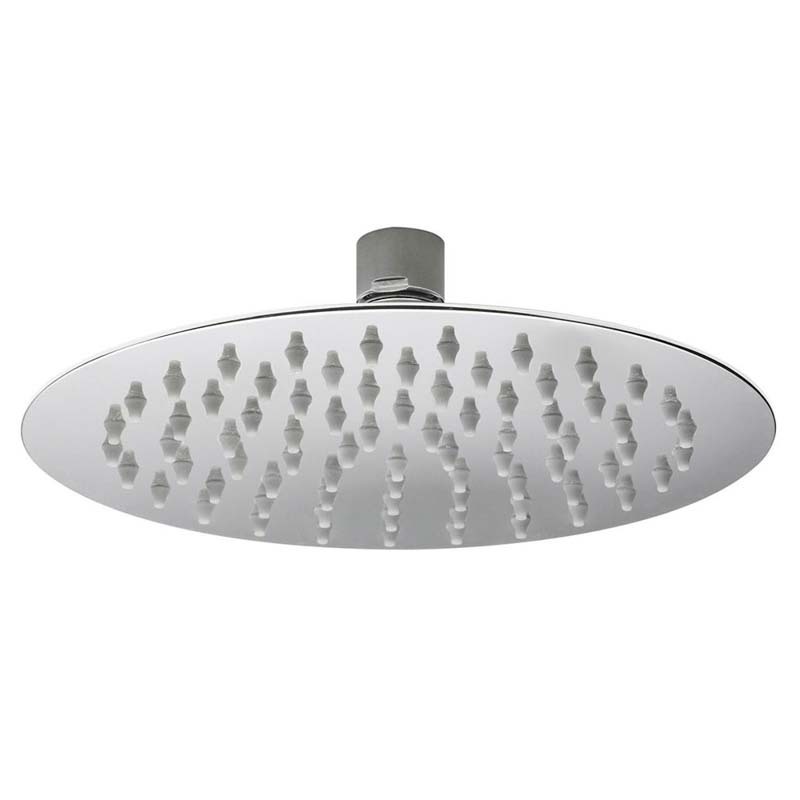 This super sleek slim round fixed shower head, is a picture-perfect addition to any contemporary or modern bathroom. With a brand guarantee of 20-years, we assure you of a product that not only provides an efficient service but also with peace-of-mind. Its 200mm diameter rounded shape offers the ultimate, luxurious showering experience, catering for all users. Finished in a stainless-steel effect, you are guaranteed a product that both looks and feels the part. With its contemporary design, be sure to pair with similar collection products to create your desired bathroom needs.